The DC-6 was one of the last great piston engine passenger and cargo carriers to dominate the skies before turboprop technology changed the airline industry forever. This new collection of DC-6B passenger airliners from the classic aviation experts at Aeroplane Heaven brings together four models in ten different liveries, all resplendent with the depth of detail, exceptional accuracy and outstanding modeling FSX users have come to expect from this award-winning development team. 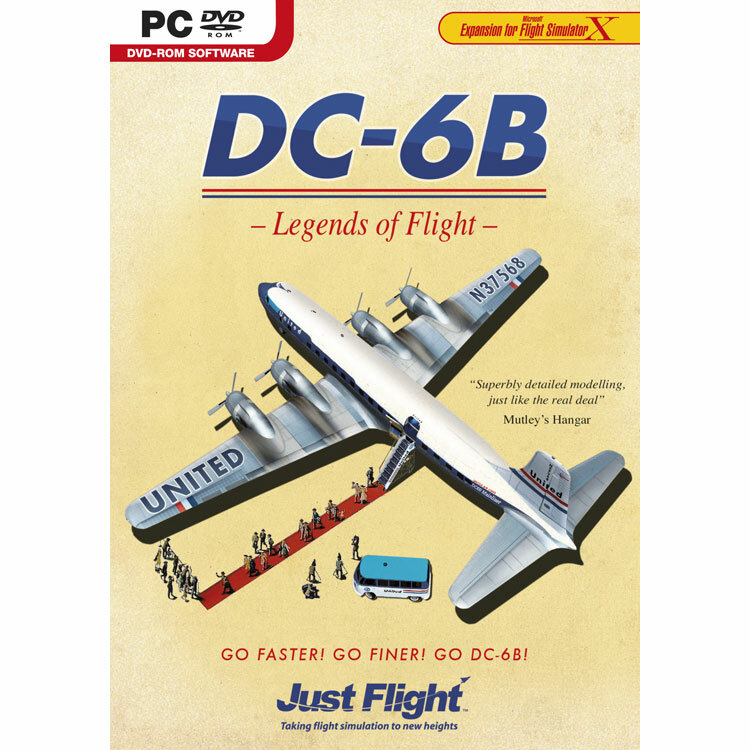 This superb new collection of DC-6B passenger airliners features accurate and detailed virtual cockpits and external animations, ten stunning vintage and contemporary liveries, custom flight dynamics, ground security features and pilot?s checklists and reference documents ? Flight Simulator X users can now climb aboard the airliner that opened up air travel on every continent.